When you're in the zone coding away you don't want a slightest disturbance. Any external noise can throw you off. Your phone ringing, a louder car outside or with the new open plan offices, or your coworkers talking in background. You don't want any of these noises interrupt your work flow. You want to stay in the zone for hours and get tons of work done. 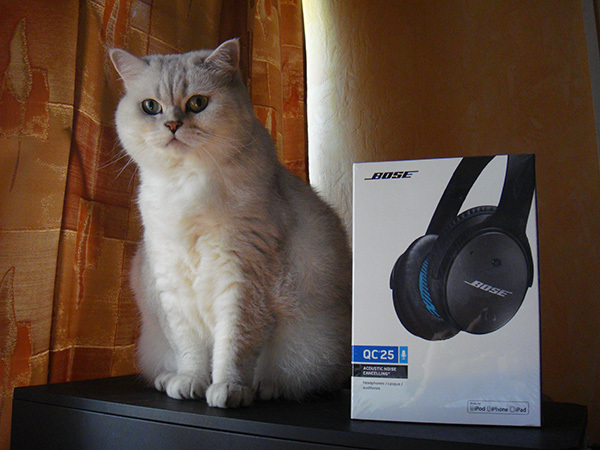 My kitty approves Bose QC25 headphones. She says these headphones help her catch more mice. Noise eliminating and cancelling headphones are a must for staying in the zone and getting things done. 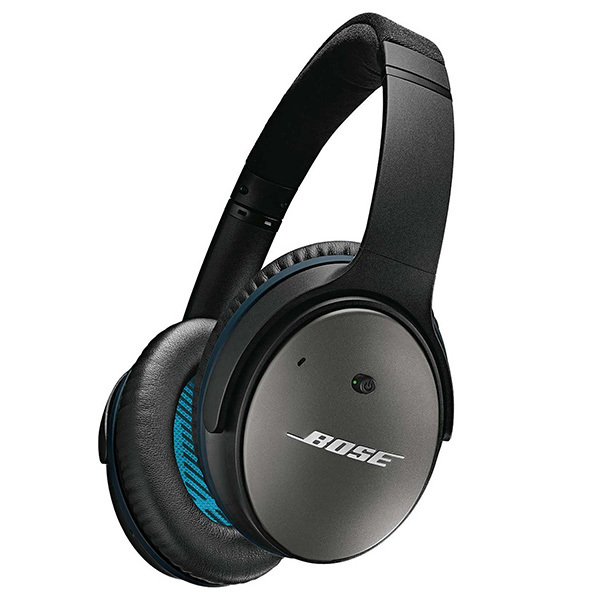 I've been trying all kinds of headphones and I think I just found the perfect headphones for programming and concentration - Bose QuietComfort 25 headphones with active noise cancellation. The way they work is they record sound around you, invert the sound waves, and emit the opposite sound, effectively cancelling sound around you. When I put them on it feels like I'm in a vacuum chamber or something similar. Everything becomes strangely quiet. Nothing emits sound. You get used to this feeling in a few hours. Typing on a keyboard is noiseless. You can barely hear someone talking to you directly behind you. They're also very light and comfortable. These headphones are not cheap but I love to spend money on high quality equipment that lets me get my work done quicker and more efficiently. I'll be sticking with these headphones for years now. Unboxing Bose QuietComfort 25 was a pleasure. The box was small and neat, and headphones were packed into a very good looking and compact case. 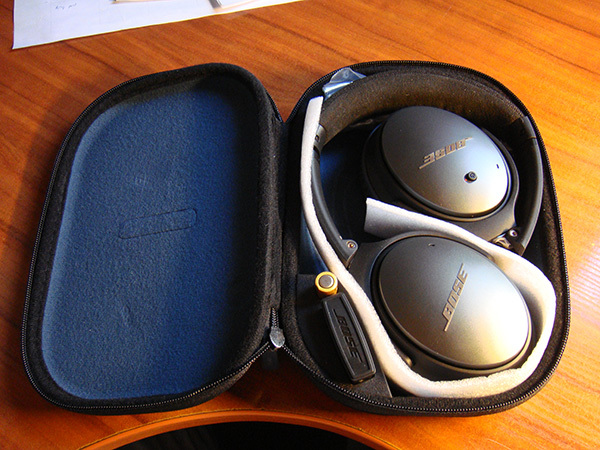 Neatly packed Bose QC 25 headphones. Pro tip: These headphones use a single AAA battery for noise cancellation. Make sure you don't waste money on batteries. You'll be changing regular Duracells ever 3 days. Get Eneloop Pro Rechargeable AAAs and Eneloop Pro Charger. Eneloop AAA Pros are at 950mAh and they'll last more than 3 days. Eneloop batteries are currently the most competitive rechargeable batteries on the market. 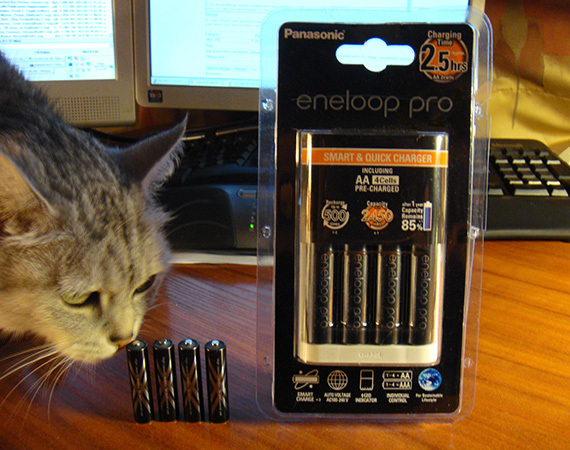 My other kitty tests Eneloop AAAs and Eneloop Pro Charger. I'll be modding these headphones and adding a USB power cable so I don't have to use batteries at all. If you're interested in hearing about that, subscribe to my blog or follow me on twitter. Until next time!